What is time? It is succession. Succession of what? Of events ─ events that take place ‘one after the other’. If there is no succession of events, either nothing happens at all or everything that can happen occurs in an endless, eternal present. We measure time by referring to two (or more) events which are easily recognizable, themselves having negligible extension ‘in time’ and which repeat in a fashion we have reason to believe does not change appreciably. Tick-tock. The sounds are sharp, easily recognizable and the old-fashioned pendulum swings fairly regularly ─ though, of course, certain crystals vibrate a good deal more regularly. If we do not have two easily recognizable, repeating, ‘marker events’ which signify the beginning and end of an ‘interval of time’, ‘duration’ is vague and subjective. This shows that duration is a secondary notion compared to succession. Without succession, no duration ─ or at least no accurately measurable duration. One can argue interminably about how long the interval between two events ‘really’ is, or was, but the events themselves either happen/happened, or they don’t/didn’t happen. Occurrence and succession are primary features of physical reality, duration a secondary property. As I see it, physics ought by rights to be based chiefly on notions of occurrence, succession and causality since all these ‘things’ are primary ─ causality perhaps a shade less fundamental than the other two (since there can be occurrence without causality as in the case of ‘random’ events). In Ultimate Event Theory, the occurrence of an event is absolute in the sense that its occurrence has nothing whatsoever to do with anyone’s location, state of mind, state of motion in relation to other objects, and so on. Also, since all events are (by hypothesis) made up of a finite number of ultimate events, every event-chain A-B whose first event is A and last event B has an event-number which is a positive integer. But the distances between the successive ultimate events composing the chain are secondary features : they have minimum and maximum values but otherwise are flexible and are legitimately evaluated quite differently according to one’s viewpoint and ‘state of motion’ (Note 1). In the preceding posts, it was hypothesized that the region occupied by the ‘Space-Time Rectangle’ of a single event-chain or event-complex is constant. In the simplest case of a single repeating ultimate event, we have a repeating unitary four-dimensional ‘Event Capsule’ successively occupying a region s0 × s0 × s0 × t0 = s03 t0. We, of course, do not ‘see’, or otherwise register, each individual event capsule but run several of them together much as the eye/brain runs together the separate stills that compose a ‘motion’ picture. We eventually become aware of an ‘event block’ which is nonetheless (according to UET) composed of a set of identical unitary event capsules each of them occupying a region s03 t0. This ‘occupied region’ is thus d s03 × t t0 where d and t are integers. If all the available positions within this region are occupied by repeating ultimate events, we have a repeating Event Conglomerate of volume d3 × t in ‘absolute’ units. For simplicity, we shall only consider one of the spatial dimensions and confine ourselves to the Space/Time Event Rectangle of d × t with d and t in ‘absolute’ units. This is the equivalent in UET of a ‘solid object’. Of course, it is most unlikely that all neighbouring. spatial positions would be occupied by ultimate events which, taken together, constitute the equivalent of an ‘object’ or body : there will, almost certainly, be sizeable gaps just as there are ‘holes’ in an apparently solid body. Nonetheless, at least in imagination, we can connect up any two positions on the Locality and construct a ‘Space/Time’ Event Region which, in the simplified case, reduces to a Space/Time Event Rectangle composed of unitary Space/Time Event Rectangles. 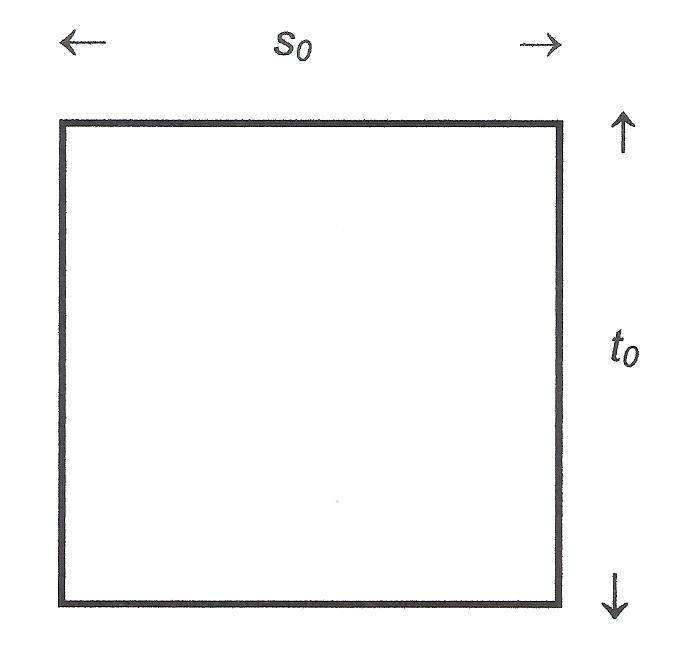 In the following simplified diagram each line represents a section of the Event Locality at one particular ksana (‘moment in time’) and each square a grid-position. An object in UET is, then, an identically repeating event conglomerate that only persists because the individual ultimate events are powerfully bonded both ‘laterally’, within a single ksana, and, more significantly, ‘vertically’, from one ksana to the next. If ultimate events are not bonded ‘laterally’, they do not constitute an ‘object’ : their proximity is entirely coincidental and if one or more of these ultimate events for some reason ceased to reappear, this would have no consequences on the others. And if the ultimate events are not bonded ‘vertically’, i.e. lack the property called persistence, the entire conglomerate does not repeat : it simply disappears without a trace. Could these two ultimate events be causally connected, i.e. part of an event-chain? It is quite irrelevant that there are a large number of blank spaces between the two occupied positions since, in UET, it is not necessary for an event chain to fill the intervening space ─ a completely dense repeating event conglomerate is almost certainly a rarity and even perhaps impossible. The only problem is thus the extent of the lateral displacement from one ksana to the next since this has a maximum possible value, traditionally noted as c but in UET noted as c*. 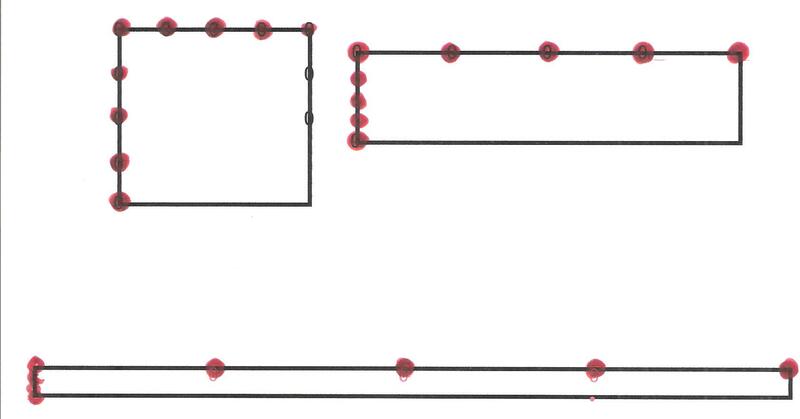 This gives us a test as to whether the two events occupying two squares are, or could conceivably be, causally connected. If the lateral distance covered in one ksana exceeds a certain number of spaces, namely c*, the events are not causally connected. Of course, it is essentially a matter of convenience, or of viewpoint, which of two regular event chains is considered to be ‘vertical’ and which ‘slanting’, but this does not mean that lateral displacement of events from one ksana to another does not occur. We can imagine the original ultimate event repeating in an exactly equivalent spatial position at the very next ksana, and simultaneously producing a clone’ of itself so many spaces to the right or left. If the distance is too great, we can confidently conclude that the red ultimate event has not been produced by the black one since the lateral distance exceeds the reach of a causal impulse emanating from the point of its occurrence (Note 3). All this is, of course, well known to students of Relativity, but it is important to recognize how naturally and inevitably this result (and all that follows from it) arises once we have accepted once and for all that there must, for a priori reasons, be a spatial limit to the transmission of a causal impulse. Someone in another place and time could have (and possibly did) hit upon such a conclusion purely from first principles centuries before Einstein was even born (Note 4 Galileo…..)and when there would have been no way of carrying out appropriate experimental tests just as there was, in Newton’s own day, no way of showing that two small objects suspended in a room and free to move actually attract each other. In normal physics, it is assumed that the ‘natural’ state of a body is to carry on existing more or less in the same state from one moment to the next, and if the body does change, a fortiori disappear, we conclude that an external (or sometimes internal) force is at work. An ‘object’ does not ‘cause itself to happen’ as it were : the very idea sounds absurd. However, In UET, this is precisely what does prevail since the ‘natural state’ of everything is to appear once and then disappear for ever. The reappearance of an ultimate event more or less in the same position on the Locality is just as much the result of causality as the sudden appearance of a completely new, and, in general, different, event regarded as the ‘effect’. The continued existence of anything is ‘self-caused’ (Note 5 Sheldrake). So, before examining repeating batches and conglomerates of ultimate events, we should examine exactly what is involved in the reappearance of a single ultimate event since without this happening there will be no repeating conglomerates, no apparently solid objects, no universe, nothing at all except a sort of “buzzing. blooming confusion” (Piaget) brought about by ephemeral random events emerging from the Event Origin and at once disappearing back into it. For anything to last at all, certain conditions must be met. The first and most important is that the causal influence which brings about the repetition of the ultimate event must at least be able to traverse the distance from the centre of one Event Capsule to another. For, just as the nucleus of an atom does not extend to the outer reaches of the atom but on the contrary is marooned in a comparatively vast empty area, an ultimate event in UET is conceived as occupying a minute ‘kernel’ at the centre of a Space/Time Event Capsule. When such an ultimate event is isolated or part of an event-chain ‘at rest’, the dimensions of all such capsules are fixed and are always the same. These ‘rest’ dimensions are the ‘true’ dimensions of the capsule and are s0 for the spatial dimension and t0 for the ‘time’ dimension. ‘Distance’, both spatial and temporal, is not absolute in UET but can be legitimately ‘measured’ (or, better, experienced) in different ways — though there are nonetheless, as for everything in UET, minimal and maximal values. What is ‘absolute’ is firstly, the number of ultimate events in an event-chain (or portion thereof) and, secondly, the total extent of the ‘occupied region’ on the Locality. In the simplest possible case which is what we are considering here, we have just a single ultimate event which repeats in the ‘same’ position a ksana later. To accurately model what I believe goes on in reality, it would be necessary not only to have a three-dimensional grid or lattice-frame extending as far as the eye can see in all three directions but also for it to consist of lines of lights which are switched on and off regularly. 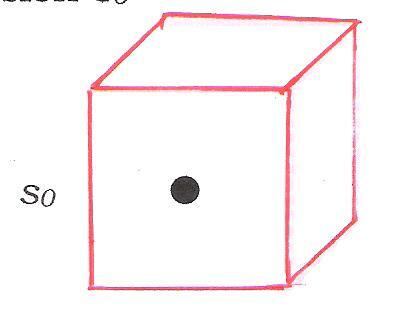 An ultimate event would then be represented by, say, a red flash inside a rectangular ‘box’ consisting of lines of little lights arranged in series. The whole framework of ‘fairy lights’ representing the Event Locality is then switched on and off, and each time the framework is switched on, a red flash appears inside a lower ‘box’. In the case of two appearances, the ‘vertical displacement’ of the red light would scarcely be noticeable, but if we keep on switching the whole framework on and off and having the red light appear slightly below where it was previously, we obtain a rough idea of a ‘stationary’ event-chain. To represent ‘lateral displacement’, which is generally what is understood by ‘movement’, we would need to have a second flashing coloured light displacing itself regularly in a slanting straight line relative to the red one. By speeding up the flashings, we would get an impression of ‘continuous movement’ even though nothing is moving at all, merely flashing on and off. We have then, as it were, arrays of 3- dimensional boxes representing the Event Capsules at a particular ksana, and a red light, symbolizing an ultimate event, which appears inside first one box and then another below it at the very next ksana. For a ‘rest’ event-chain which we are assuming, the event capsules have fixed ‘rest’ values for both spatial and temporal distances. If we neglect two of the three spatial dimensions we thus have a Space-Time Rectangle of extent s0 by t0. So the causal impulse must cover very nearly ½ s0 relative to the first grid-space and another ½ s0 relative to the second ksana, in order to be able to ‘recreate’ a clone of the original ultimate event. The total spatial distance covered is thus (very nearly) ½ s0 + ½ s0 = 1s0 and this distance has been covered within the ‘space’ of a single ksana. The ultimate event’s ‘vertical displacement rate’ is thus 1s0 /t0 , one grid-space per ksana. And if it keeps re-appearing regularly in the same way, it will keep the same ‘vertical’ displacement rate — ‘vertical’ because it is not displacing itself either to the left or the right at each ksana relative to where it was previously. So what happens if the causal influence is not strong enough to traverse such a distance? In such a case, the ultimate event does not re-appear and that is the end of the matter. (I am assuming that the occurrence has taken place at a sparsely populated region of the Locality so that the ultimate event is effectively isolated and not subject to any influence from other event-chains.) Whether or not a causal influence that fails to ‘go the distance’ subsequently completes its work in subsequent ksanas need not concern us for the moment : the point is that during (or ‘at’) the following ksana the ultimate event either does or does not reappear, an open/shut case. A displacement rate of 1s0 /t0 is thus the minimum (vertical) displacement rate possible. Moreover, the dimensions s0 and t0 are fixed and thus their product, the rectangular ‘area’ s0 × t0 also. It is a postulate of UET that this rectangular area (and equivalent 4-dimensional region) remains constant though the ‘length’ of the ‘sides’ can change, i.e. for variable ‘sides’ sv and tv, sv tv = s0 t0 = Ω, a constant, and so tv, tv /t0 = s0 /sv . It would seem that, in our universe at any rate, s0 is a maximum which makes t0 a minimum. So the vertical displacement rate is maximum spatial unit distance/ minimum temporal unit distance. Note that, since to is a minimum, there is no possible change that can occur anywhere within a smaller interval of time ─ ‘time’ is not infinitely divisible. Also, since there are limits to everything, the minimum spatial distance, which can be noted su (for s ultimate), will be paired off with the maximum ‘temporal length’ of a ksana, tmax and the other extreme ratio will be smin/tmax = su/tmax where su × tmax = so × t0 since the area of the rectangle stays the same. But we do not need to pay attention to this for the moment since the sides are not at present going to change. Given that the rate 1s0 /t0 is the least possible, what about the maximum possible rate? Rather surprisingly, this also turns out to be 1s0 /t0 ! For suppose a more powerful causal impulse is able to carry itself over two or more event capsules and recreate the selfsame ultimate event two, four, or a hundred ksanas later. Even if it could do this, the rate would still not exceed 1s0 /t0 since, if the ultimate event were re-created four ksanas later, the causal impulse would have traversed a spatial distance of 4 s0 ­and taken exactly four ksanas to do it. In ‘normal’ physics ─ and normal conversation ─ we completely neglect what I term ‘vertical displacement rate’ since we do not conceive of ‘bodies’ appearing and re-appearing. What we are passionately concerned about is what we refer to as ‘speed’, and this in UET is what I call ‘relative lateral displacement rate’ ─ ‘lateral’ because the ‘time’ axis is usually imagined as being ‘vertical’. Now, it is today (almost) universally recognized that there is a maximum ‘speed’ for all bodies, namely c which is roughly 3 × 108 metres/sec in macroscopic unts. In UET, since everything has a limit, there is a maximum lateral displacement rate for the transmission of causality whether or not light and electro-magnetic radiation actually do travel at exactly this rate. This ‘relative lateral displacement rate’ covers not only cases of ‘cause and effect’ in the normal sense, but the special kind of causality involved when an ultimate event reinvents itself so many spaces to the right or left of its spatial position at the previous ksana. We can thus imagine an ultimate event being re-created (1) in the same position, i.e. zero spaces to the right or left; (2) one space to the right (or left) of the original position, (3) two spaces to the right, and so on up to, but not exceeding, c* spaces to the right where c* is a positive integer. We have, in each case, a ‘Causal’ Space/Time Event Rectangle of dimensions d spaces × 1 ksana where d can attain but not exceed c*. Each of these positions could in principle receive an ultimate event and if all are filled (an unlikely occurrence) we will have at each ksana exactly d ultimate events not counting the original one (or d + 1 if we do count the first one). This number of possible ultimate events, brought about by a single ultimate event a ksana earlier, does not and cannot change but, in accordance with the principle of constant area, the distances between events (or rather their positions on the Locality) can and does change. We need not concern ourselves at the moment with the question of whether this change is ‘real’ or essentially subjective : the important point is to get a clear visual image of the ‘sides’ of the Space/Time Event Rectangle contracting and expanding but nonetheless maintaining the same overall area. Some idea of this is given by the following diagrams where the blobs represent ultimate events. Can this process of contraction/expansion be continued indefinitely? In normal physics it can since, with some exceptions and occasional trepidation, contemporary physics still retains a key feature of Leibnitz’s and Newton’s Calculus, namely the usually unstated assumption that ‘space and time’ are ‘infinitely divisible’, incredible though this sounds (Note 2). In UET on the other hand the spatial contraction has a clearcut limit which is the dimension of the ‘kernel’ of a Space/Time capsule. The precise region where an ultimate event can have occurrence, the equivalent of the nucleus of an atom, does not (by assumption) itself change in size and thus constitutes the ‘ultimate’ unit of distance in UET since everything that we see and hear or otherwise apprehend is made up of ultimate events and each of them (by hypothesis) occupies an equivalent 3-dimensional spot on the Locality whose ‘rest’ dimensions do not change. Noting the ‘ultimate’ dimension as su, we deduce that there must be a numerical ratio between su and s0, the maximum dimension of a grid-space, which is also that of a ‘rest’ capsule, since everything in UET is basically related by whole number ratios to the complete exclusion of irrationals. So s0 = n su where n is a positive integer ─ i.e. one could in principle fit n ‘kernels’ lengthways and in the other two directions, if we assume a cubic shape, or, if the capsule is conceived as being spherical, we would have a diameter of n kernels. Now, if the Event Rectangle keeps the same area, it must stay equal to its rest size of 1 s0 × 1 t0 and the spatial distances between ultimate events, or positions where ultimate events could occur, must contract while the temporal distances expand. At the limiting value of c* positions the spatial dimension has shrunk from being s0 to its minimum size of su , i.e. each grid-position has shrunk to the size of the kernel and it cannot shrink any more since no smaller length exists or can exist. But there are precisely n multiples of su in s0 which can only mean that c* = n. And so the ratio of ‘kernel’, the smallest unit of length that can possibly exist, to the ‘rest’ size of the capsule is the same as the ratio of the ‘rest’ length of a grid-position to the maximum number of positions that can be displaced by a causal impulse within a single ksana. This unexpected result which flows from the basic assumptions of Ultimate Event Theory shows a pleasing symmetry since the constant c* , the limiting displacement rate (‘speed’), also shows up within the structure of the basic Event Capsule, the equivalent in UET of an ‘atom’. When sv , the variable length of the side of the Event Capsule, reaches its minimum value of su , tv is a maximum since, if s0 ­is a maximum, t0 must be a minimum. Since s0 × to = sv × tv , we have tmax /t0 = s0/su = c*/1 so tmax = c* × t0 As sv gets shorter, tv increases to keep the ‘occupied area’ constant. When the spatial distances d × s0 are large enough to be noticeable, (though the same thing applies if they are small) this gives rise the well-known phenomenon of ‘length contraction’ ─ well-known to students of physics, I mean. And this in turn means that the ‘time dimension’ gets extended to keep the overall area constant. This is the same as the situation in Special Relativity. But, in UET, the Space/Time Rectangle does not end up with one side becoming ‘infinitely long’ and the other ‘infinitesimally short’ since v can essentially only take integral (or at most rational) values and peaks at v = c* = (c – 1), i.e. one grid-space short of the ‘unattainable’ value c ─ unattainable if we are considering a Causal Space/Time Event Rectangle (Note 3). (1) Lengths cannot be indefinitely contracted, nor will they ever appear to be, and the same goes for time dilation. Popular books referring to someone falling into a Black Hole suggest that he or she will fall an ‘infinite distance’ in a single mini-second and his or her cry of despair will last for all eternity ─ this does not and cannot happen in UET. It should be possible one day soon to test these predictions (though not with respect to Black Holes): UET says that ‘space contraction’ and ‘time dilation’ will approach but never exceed limiting values, and indeed such observed limits would give us some idea of the dimensions of the Event Capsule. (2) The actual speed (lateral displacement rate) of event-chains may attain, but not exceed, c* , which means they can be attributed a small but finite ‘mass’ ─ though ‘mass’ has not yet been properly defined in UET (see coming post). A rough definition would be something like the following. (3) It is in principle possible in UET for an event-chain to eventually exceed the maximum ‘causal displacement limit’ (roughly ‘speed’) but such an event-chain would immediately cease to repeat (having lost persistence or self-causation) and to all intents and purposes would ‘disappear into thin air’ leaving no trace. This would explain the sudden disappearances of ‘particles’ should this be observed. There would be no appreciable energy loss which conflicts with the doctrine of the Constancy of Mass/Energy (energy is as yet undefined in UET). Note 1. One should speak of ‘state of succession’ rather than ‘state of motion’ since continuous motion does not exist in UET (or in reality). But the phrase ‘state of succession’ seems strange even to me and ‘relative state of succession’ even stranger. All this goes to show how strongly we have been marked by the fallacious idea of continuous motion. Note 3 We do not get the fantastic picture of someone falling into a Black Hole and being contracted down to nothing while his or her cry of despair lasts for all eternity. That there are definite limits to possible length contraction and time dilation is a proposition that is in principle verifiable — and I believe it will be verified during this century. And once we have approximate values for these limits, we may, by extrapolating backwards, obtain an idea of the dimensions of the basic Space/Time capsule, i.e. s0 and t0 .